Does This Film Portray What Happened in the Rwandan Genocide? The BBC series Black Earth Rising. The BBC drama about Rwanda tackles post-genocide events in a way few dramas or documentaries have done before. Portrayals of Rwanda's recent history on TV and in film can often spark controversy. For many Rwandans, the central question is whether their country is being fairly presented, and if the programme promotes any form of genocide denial. 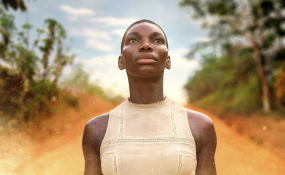 The BBC series Black Earth Rising is likely to face similar scrutiny from Rwandan elites within the government and civil society. The eight-episode television drama follows a legal investigator named Kate Ashby (played by the British actress Michaela Coel) who becomes ensnared in the complex international criminal justice system. Rather than promoting or illustrating genocide denial, the series instead discusses the arguments and condemns any form of it. What makes this series interesting is how it presents the complexity of Rwandan history without taking sides. Rwandan studies can be divided into two categories - either overly favourable or overly critically of the politics and policies of the current government, led by the Rwanda Patriotic Front (RPF) and its leader, president Paul Kagame. Black Earth Rising is able to illustrate arguments from both camps without demonising their supporters. Through a fictional retelling it portrays real historical events, including the Rwandan genocide (also referred to as the 1994 genocide against the Tutsi), Rwandan participation in two subsequent wars in the Democratic Republic of Congo, and the country's post-reconciliation period. These are explained by both crediting successful government policies as well as criticising those that have failed. Such a holistic approach to explaining recent Rwandan history has often been lacking in previous television and film coverage of the country, such as the contentious 2014 BBC documentary, Rwanda's Untold Story, which the Rwandan government criticised for promoting genocide revisionism. Within Rwanda, genocide denial in any form is illegal. The 2004 film Hotel Rwanda was also criticised for not being historically accurate. For Rwandans and scholars like me who study its politics, the series contains impressive in-depth examination of post-genocide political events that are often left out of documentaries. There are multiple examples of notable and even minor events being shown in the series with only minor dramatisation. For instance, the European arrest and eventual freedom of an RPF official, Alice Munezero (played by Noma Dumezweni) closely mimics the 2015 arrest of former Rwandan intelligence chief, Karenzi Karake, and the 2008 arrest of former colonel, Rose Kabuye. When the series began in September, many within the Rwandan diaspora in the UK complained on social media about its lack of Rwandan actors, and the fact that none of the show was filmed in Rwanda. British Rwandans I've spoken to echoed the same views. Within Rwanda, where the programme has been streamed by Rwandans, there has been no public criticism, especially from the Rwandan government. Many within the government helped put an end to the genocide and still fear that the mass killings could return if similar ideology ever took hold again. The series hints at this concern, and takes a nuanced approach to describing the problems around discussing ethnicity and power structures in Rwanda today. Black Earth Rising also reaffirms the horrors of the genocide in multiple episodes by stating how Hutu genocide militias planned and orchestrated the massacres, and it does so without making a false equivalence to the deaths from the Congo wars, something which was done in the Rwanda's Untold Story documentary. This might be one of the reasons why the Rwandan government has not called for the BBC to be banned or punished, which happened after the earlier documentary was aired. The multiple controversial topics discussed in the series, such as massacres committed by the Rwandan government in eastern Congo during the First Congo War (1996-1997), challenge established notions of whether Rwanda's actions were justified during the conflict. But the series does not purport to have the answers of what is right or wrong. It provides explanations of why the real Rwandan government, through its fictional one, justifiably receives both praise and criticism. As such, Rwandan officials are unlikely to be upset by the series, despite the fact that it addresses issues of contention within Rwanda. It's not one-sided and incorporates how Rwandan officials would perceive these issues. Black Earth Rising provides a House of Cards-like dramatisation of Rwandan politics that contains some surprisingly precise insights at times. It shows a Rwanda that is similar to many other nations with its internal political dynamics and complex questions of identity, ethnicity and power.